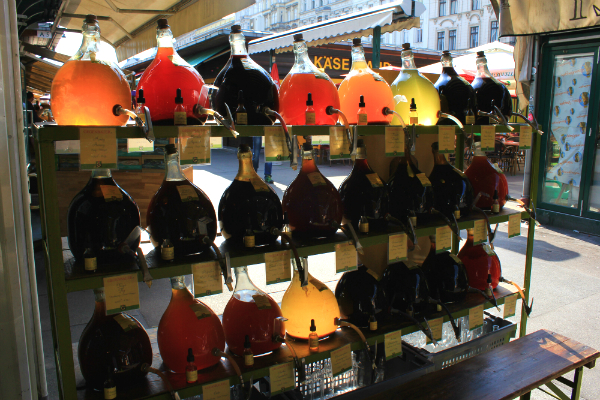 Provided you start your tour on a Saturday, head straight for Naschmarkt, Vienna’s historic food and flea market. The flea market is only open on Saturdays, and the whole of Naschmarkt is closed on Sundays. The green cast iron food market stalls, where Austrian, Serbian, Bosnian, Croat, Turkish, and Polish sellers praise excellent meat, cheese, fruit & vegetables, spices, vinegar specialities, sweets and regional produce, are around 100 years old. As you head for the flea market, watch out for the Art Nouveau buildings of Otto Wagner at Linke Wienzeile, glazed with red poppies, gold leaf laurels and roof top statues of ethereal females. Have lunch at Café Drechsler, a Viennese institution at Linke Wienzeile, opposite Naschmarkt, serving modern Viennese cuisine to the cool sounds of the café’s own CD compilations. The old town is a UNESCO world heritage site, and the main hunting ground for Vienna Austria travel freaks and luxury shoppers. Set your sightseeing expectations high, especially when it comes to medieval and baroque architecture. Start by orbiting the city centre on Ringstrasse boulevard, taking a 30 minute ride on the Vienna Ringtram, a historic tramway adapted with audio guides for travelers. Highlights of the city centre are Kärntner Strasse leading to St. Stephen’s Cathedral, Graben and Kohlmarkt, leading to the Imperial Palace (Hofburg). Factor in some time to visit a Vienna coffeehouse – Café Hawelka, Café Griensteidl and Café Prückel are among my personal favourites. If the weather nice, have your coffee at Kleines Café on Franziskanerplatz, a hugely romantic square. Whether you are into classical or contemporary music, opera or theatre, Vienna is a sweet spot. You may be lucky enough to bag rare tickets for a concert by the Vienna Philharmonic Orchestra or you visit one of Vienna’s four opera houses, or attend a small jazz or e-music session at a local venue. My tip: Book the classical music events in advance so you don’t need to rely on tourist concert tickets sold in the street.Have a nice Viennese dinner at kitsch-free Plachutta or Oesterreicher im MAK. Start Sunday morning with fine art at either the Museum of Fine Arts or the Museumsquartier opposite. The first hosts a wonderful collection of classical art, mainly Renaissance and baroque, where as Museumsquartier is best known for its Modernist and contemporary museums, such as the Leopold Museum and MUMOK. Brunch among art treasures at Gerstner’s, right under the Museum of Fine Art’s marble cupola upstairs. 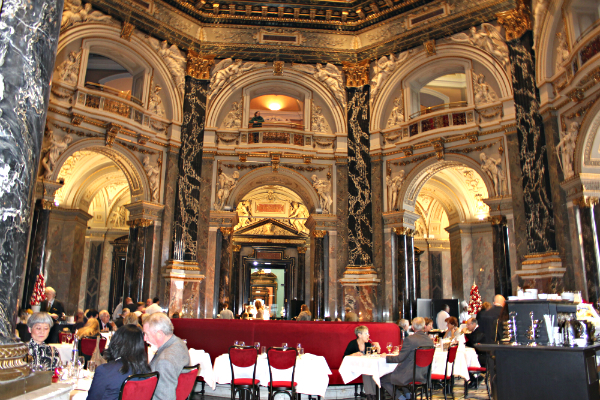 Alternatively, enjoy a more contemporary setting at Hill’s MUMOK, or lunch surrounded by 1950ies chic at Café Leopold. You can’t afford to miss out on Schonbrunn Palace in Vienna, our number one tourist attraction. It is less than 15 minutes by underground from the centre and fits into even tight week end sightseeing schedules. The baroque summer residence of the Habsburgs is another UNESCO World heritage site. Unless you are a palace fanatic, take the small tour through the lovely interiors. Then, stroll through the gardens, via the Palm House, up the hill to the Habsburgs’ authentic Tyrolean farmhouse/restaurant Tiroler Haus, and to Gloriette Café. If you go during Easter and just before Christmas, make sure you visit the seasonal markets in front of the palace. About the Author: Barbara Grüll-Cação is a native Viennese. She runs Vienna Austria travel site Vienna Unwrapped . Having lived in and around Vienna for 30 years, she regularly visits the city from London, where she now lives and works. On Vienna Unwrapped, Barbara shares her knowledge as a native, a former local, and a frequent Vienna traveller with you.